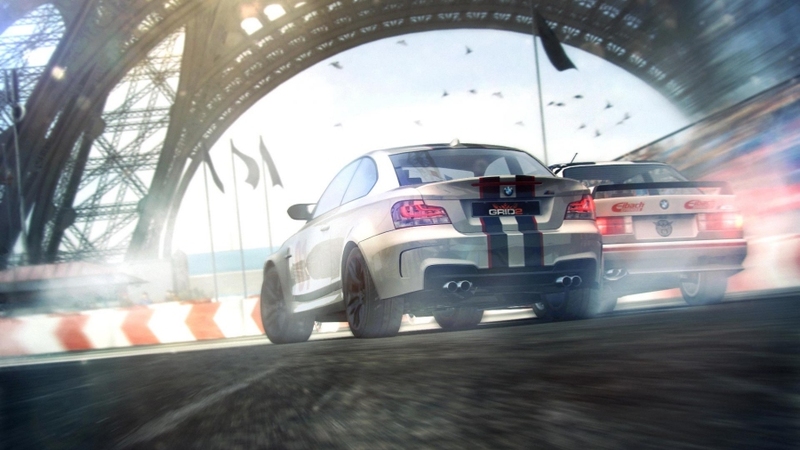 Home » Features » Grid 2’s career mode: Could Codemasters be onto a winner? 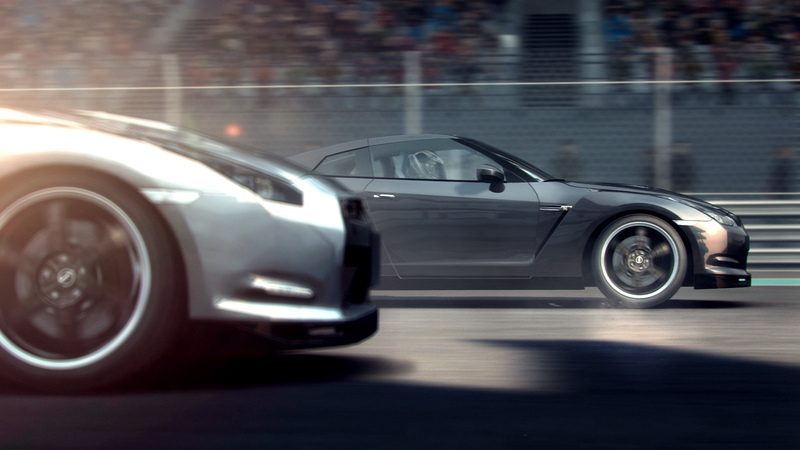 Features	Grid 2’s career mode: Could Codemasters be onto a winner? If you’ve been checking up on our YouTube channel in the last few days or so, you will have undoubtedly noticed that our five-part preview series on Grid 2 has been rendered and uploaded. Overall, I’m fairly impressed with what we’ve seen and experienced so far, if perhaps a bit miffed about the AI at this early stage, as well as with Codemasters’ carefully monitored and controlled pre-release info teasers. Still, that doesn’t mean we can’t get excited by the limited facts and stats we can go on so far, and perhaps right at the top – or at least in the top half – of the “You know what? That sounds like a pretty cool idea” list is the narrative that forms the bedrock of Grid 2’s career mode. Granted, on face value, it’s not particularly revolutionary or ground-breaking. At its very heart, it’s a simple progression through the ranks system, which is pretty much the formula that every racing game ever made has stuck and abided to. Indeed, the ‘World Series of Racing’ concept is in itself not particularly different from the wristband-style progression system in Forza Horizon: you do races, you attract more fans, you progress to the next level, and so on until you beat the best of the best. You could also argue it’s not too far off, on paper at least, from what Grid 2’s predecessor, the much-praised Race Driver: Grid, had to offer. It’s the little details, though, that have the potential to make Grid 2’s career mode stand out a bit from the highly contested crowd. Especially as Toby Evan-Jones (the Producer at the ‘racing studio’ of Codemasters, and the person we spoke to in our Part 1 preview vid on Grid 2) stated that Codemasters Racing has “been thinking a lot about the narrative in Grid 2”, and how to ensure it “makes sense” in the single-player aspect of the game. For starters, quite a fair bit of the in-game story relies on you not only promoting yourself as one of the best racing drivers in the world (courtesy of your on-track actions, of course), but also building up the audience and fan base of the World Series of Racing series. As a result, instead of the entire game consisting of races that attract the big-name stars, you’ll have to win over the support of the far smaller club racers, such as the pixelated bunch of drivers who make up the Barcelona-based ‘Eliminacion’ squad. Which, if done well, could be quite a novel little feature, especially as most racing games haven’t explored the racing club scene before. The concept of featuring the press in their racing titles isn’t a new concept for Codemasters. Their entire F1 franchise has pretty much revolved around the world’s sporting media reporting on this up-and-coming Formula One driver you play as, so it perhaps wasn’t a massive shock that such an aspect found its way into Grid 2. What is surprising, though, is that Codemasters has managed to implement an ‘ESPN Sports Centre’ into the career mode of Grid 2. Yep, that’s right – whilst we have no idea who the all the anchors and TV reporters for ESPN’s World Series of Racing coverage will be (though motorsports commentator and analyst Toby Moody was revealed in the presentation), there will be a form of in-game TV coverage of the races you’ll be competing in. And this is on top of all the social media aspects of the narrative. Codies appears to be really hammering in the whole media integration aspect of Grid 2’s storyline, in a way that very few racing game developers have ever done so before. Whether it’s just window dressing remains to be seen, but it will be very interesting to see just how thoroughly implemented and integrated the media aspect of the career mode is in Grid 2. Okay, so this bit is perhaps more speculation that’s based on what we’ve been told by the Grid 2 dev team, rather than taking what they’ve said on face value. Whilst we have been given small glimpses at what the in-game rivalry between the playable character and the AI rivals entails, they’re not enough to reveal it in its entirety. What we do know is pretty interesting, though. Not only have the Codemasters folk declared each racing driver you encounter on the track has a specific driving style – according to them, 60 parameters monitor each AI driver’s on-track behaviour – but also specific races where they’ll excel at. Put simply, you shouldn’t, in theory, see the same names dominating the higher echelons of the race results table all of the time. What’s perhaps more surprising, though, is that Codemasters has sown the seeds for what can be seen as a rivalry with Patrick Callaghan, Grid 2’s fictional US businessman who not only founded the WSR, but also picked “you” to help him build up the popularity of his new race series. 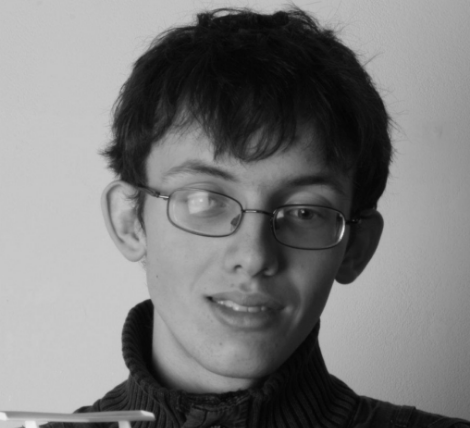 Okay, so it hasn’t been confirmed whether or not you actually get to see this Callaghan bloke in the game, but it could be a very interesting premise if, say, he starts to believe the grass roots racer he signed on for the very first season has now grown into someone who’s become far bigger than the WSR. Traditionally, racing games haven’t always been betrothed with what you’d call ‘complex narratives’, even by the standards of the genre. Which is why Grid 2’s teased snippets that slowly reveal a picture of the game’s career mode are pretty interesting, as they hint at a storyline that, by racing game standards, is pretty advanced. And, given Codemasters seem to be pretty intent on devising a narrative of sorts that has some relevance to the chain of events which make up the career mode, it’s likely the storyline in question could have a decent amount of depth to it. However, we’d advise against expecting something that will keep the script writers for franchises such as Rockstar’s Grand Theft Auto shivering in their sleep. 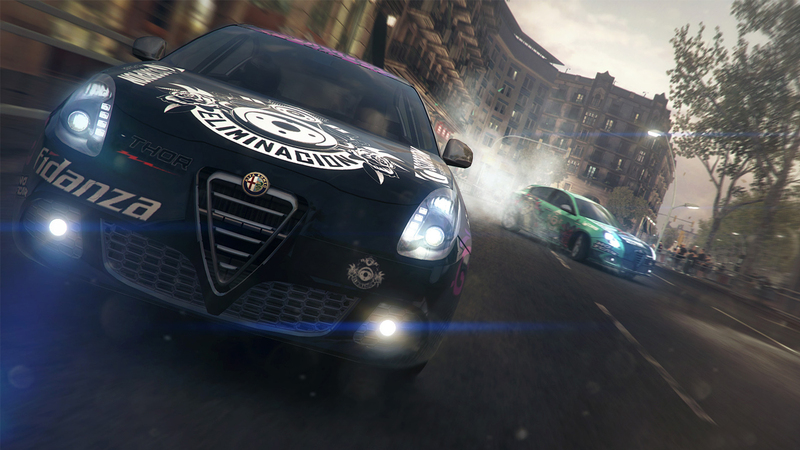 And, as past racing games such as Test Drive Unlimited 2 have proven, there’s always the off chance that what the dev team sees as a pretty legit piece of storytelling could end up being perceived as an utter mess of a narrative by the gaming press and the people who eventually buy and play the title. 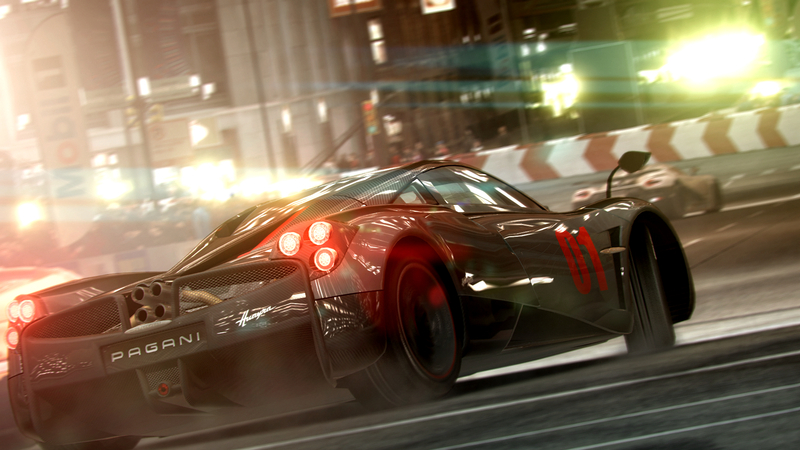 But that doesn’t stop us from having high hopes for Grid 2’s career mode. Yes, we’re more inclined to see what the finished game’s AI and physics are like, but a well-engineered career mode has all the potential to keep players hooked after the initial first-day euphoria, and we have a suspicion that Codemasters could be onto a winner with Grid 2’s. So, whilst it might not necessarily be the defining aspect we’ll remember the title for, we do hope that Grid 2’s career mode will be as satisfying when we get our hands on the finished game, as it is intriguing and tantalising now.